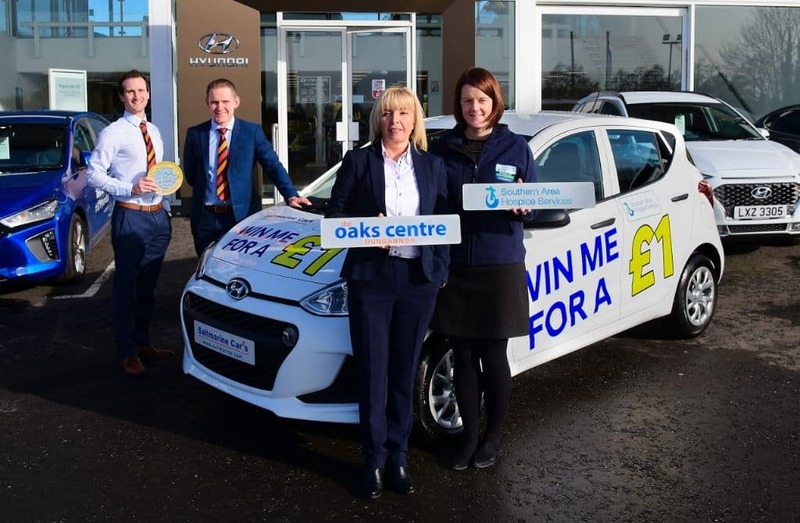 5 March 2018 Southern Area Hospice Services are delighted to launch their 2018 Car Raffle which gives people the chance to win a brand new Hyundai i10 Car, whilst helping to raise vital funds for local Hospice Services. 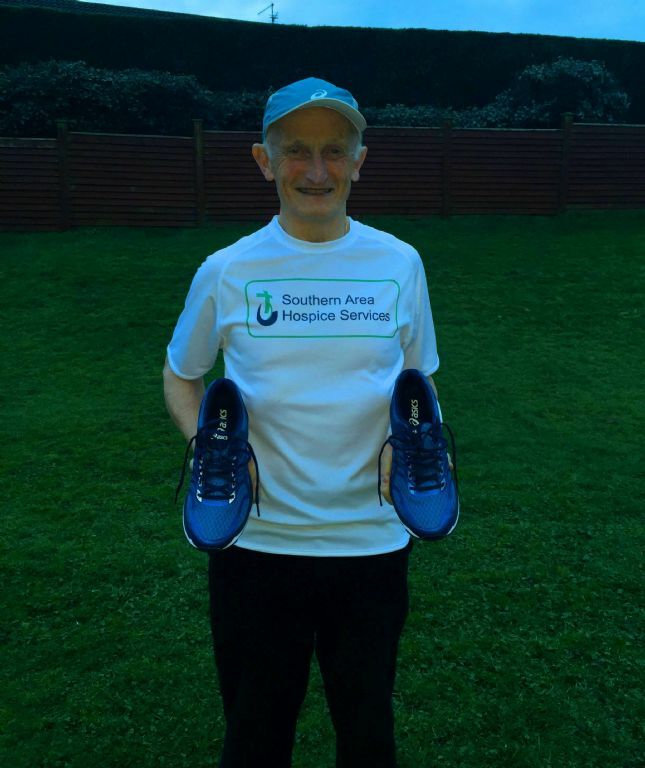 15 February 2018 Banbridge man Tommy Fee has been pounding the pavements around Banbridge as he gets set to take on the Virgin London Marathon on Sunday 22nd April to raise funds for Southern Area Hospice Services. 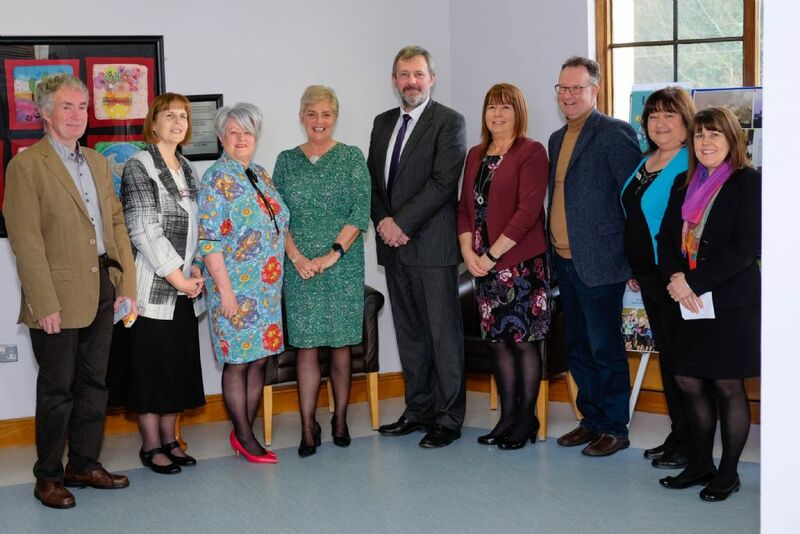 9 February 2018 The Permanent Secretary to the Department of Health, Richard Pengelly has paid a visit to the Southern Area Hospice Services this week to meet with CEO Liz Cuddy, along with members of the Board of Directors and Senior Management team. 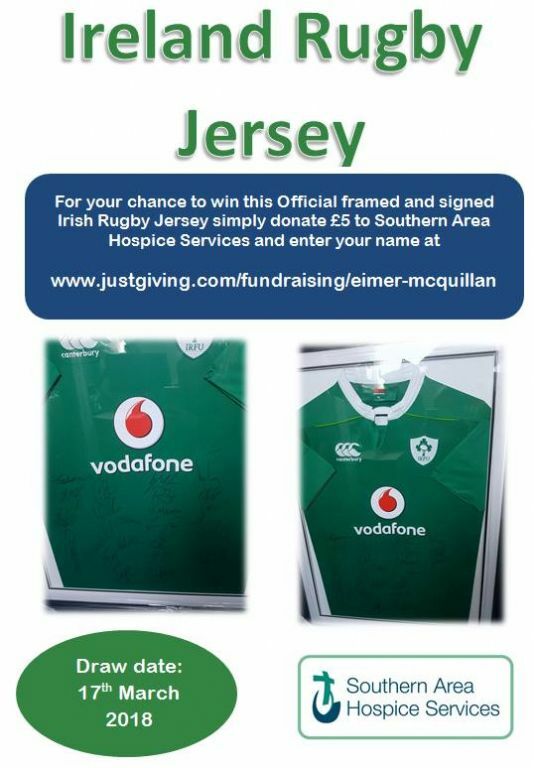 8 February 2018 As Eimer McQuillan continues to fundraise as part of the 'Trek for Niall Campaign', she will be holding a raffle which will give you the chance to WIN a fantastic official signed and framed Irish Rugby Jersey. 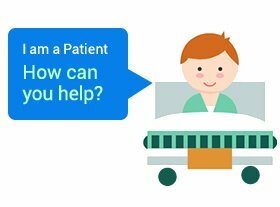 8 February 2018 This Mother’s Day on the 11th March you can give a gift that counts. 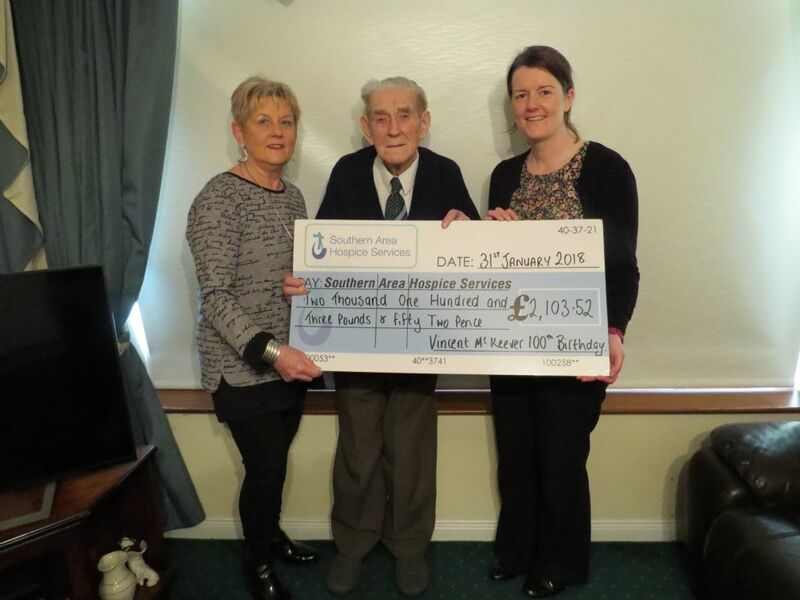 5 February 2018 Southern Area Hospice Services were delighted to receive a cheque for £2,103. 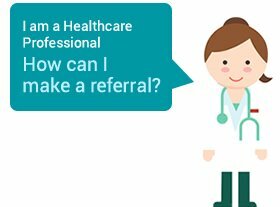 2 February 2018 This World Cancer Day, Southern Area Hospice Services share some of the ways in which our staff and volunteers support people diagnosed with Cancer to ‘live each day’. 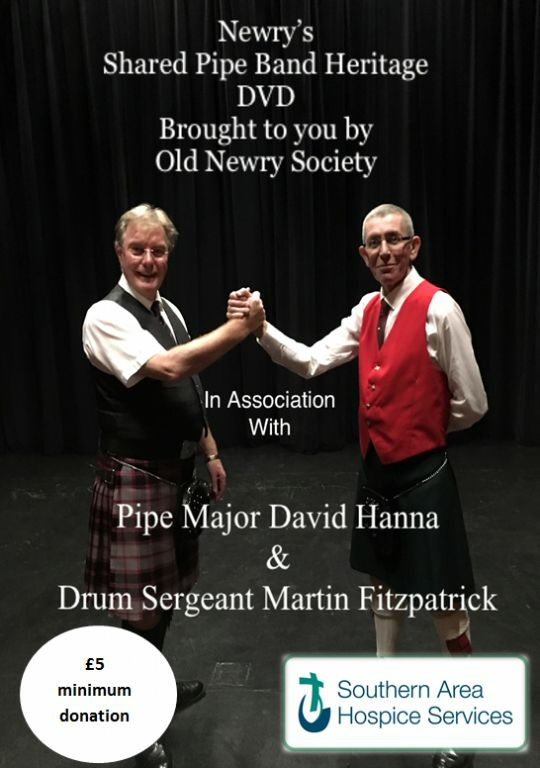 30 January 2018 A DVD capturing the history of the various Pipe Bands from the Newry Area over the past 100 years has been produced in aid of Southern Area Hospice. 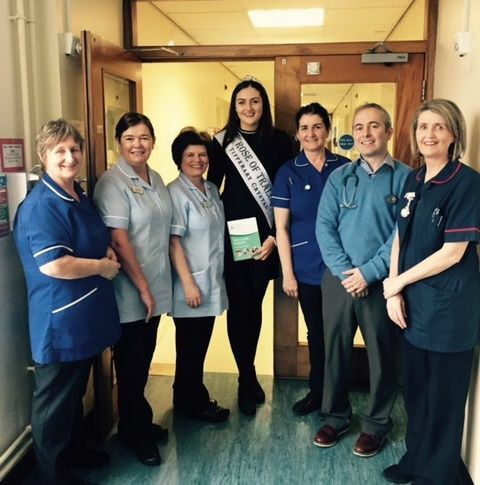 23 January 2018 We welcomed a special visitor to our Hospice on Tuesday 23rd January, the Rose of Tralee 2017, Jennifer Byrne. 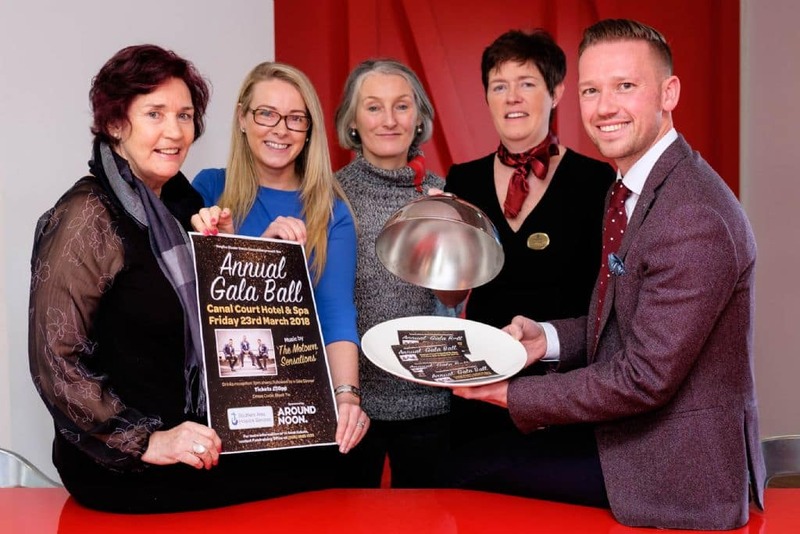 22 January 2018 Southern Area Hospice Services Dinner Dance Committee is delighted to announce that tickets are now on sale for the Social Event of the Year. 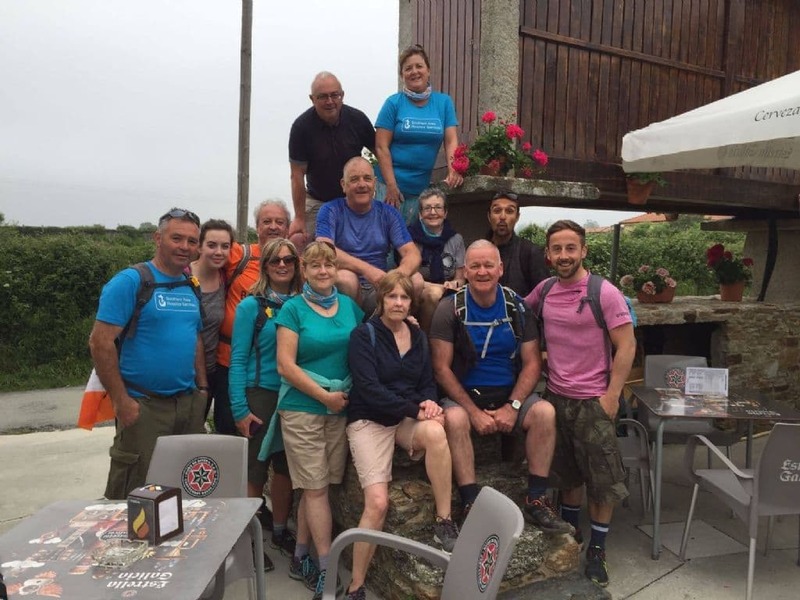 10 January 2018 Has the Camino de Santiago been on your bucket list for too long? Then why not make this year count and sign up now! After a number of successful trips the Hospice will be returning with a group to complete a leg of this famous trail in May 2018 and places are now open. 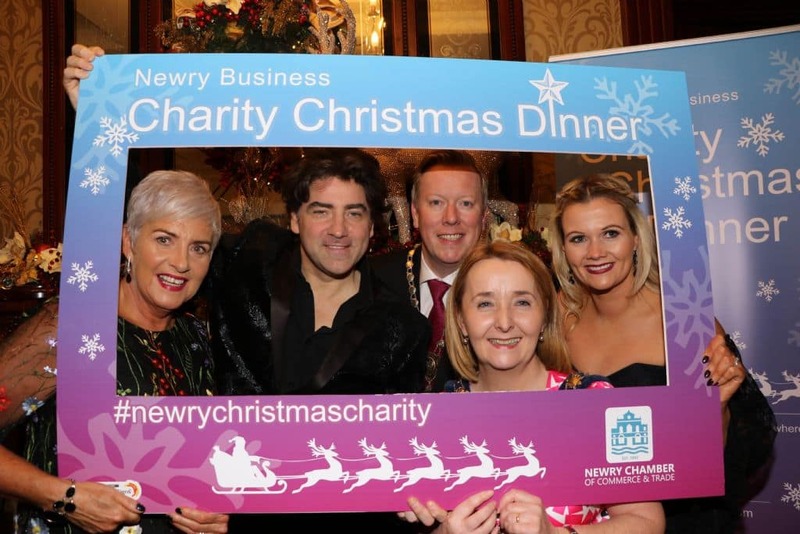 12 December 2017 Newry Chamber of Commerce & Trade hosted more than 650 patrons at the 18th Annual Christmas Charity Dinner in the Canal Court Hotel in Newry on Thursday 7th December. 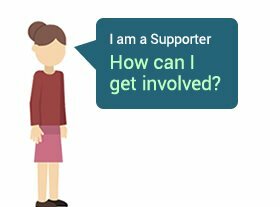 5 December 2017 Southern Area Hospice Services will be celebrating International Volunteer Day (IVD) on 5th December and celebrating the dedication and commitment of all the volunteers who give of their time to help their local Hospice. 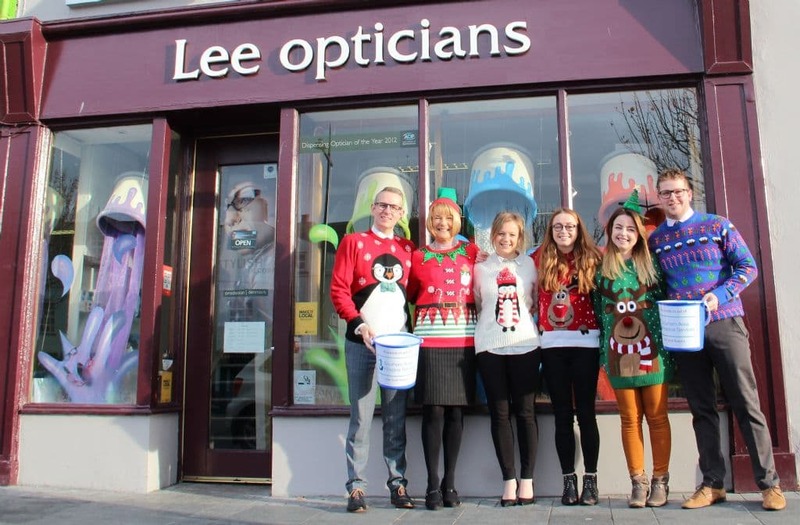 4 December 2017 Lee Opticians Warrenpoint is delighted to be joining Hospice Christmas Jumper Day for Friday 15th December. 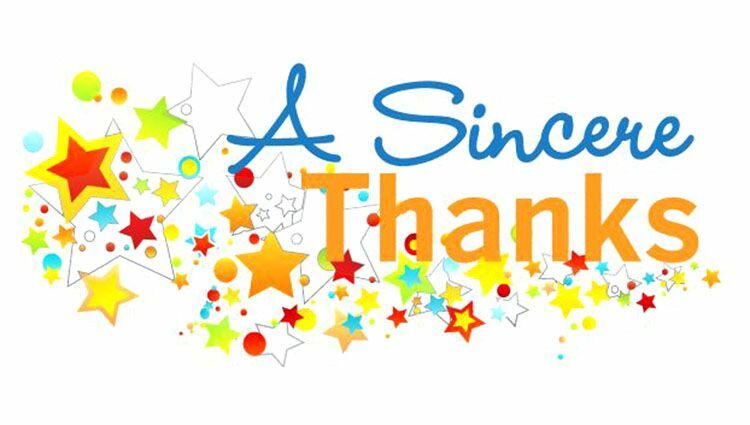 1 December 2017 Thank you to everyone who donated to our street collections on the following dates and locations. 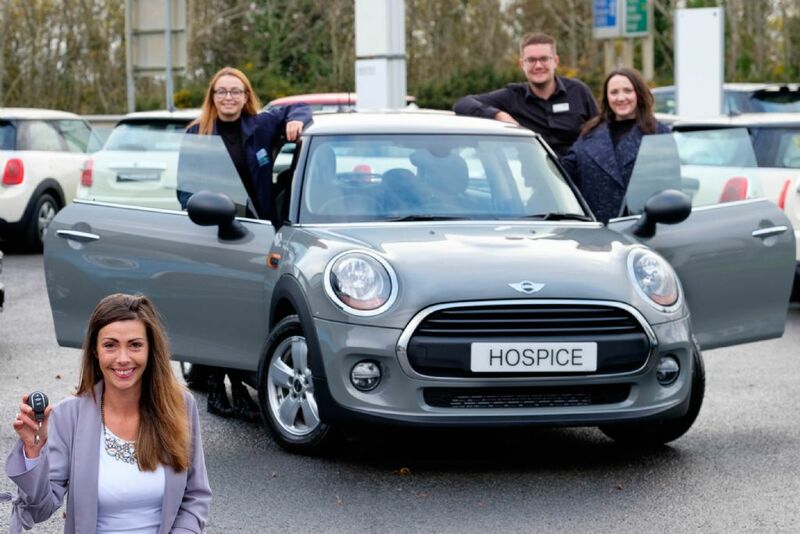 27 November 2017 This week, Southern Area Hospice Services was delighted to hand over the keys to a brand new Mini from the Hospice ‘Win a Mini for £1’ car raffle. 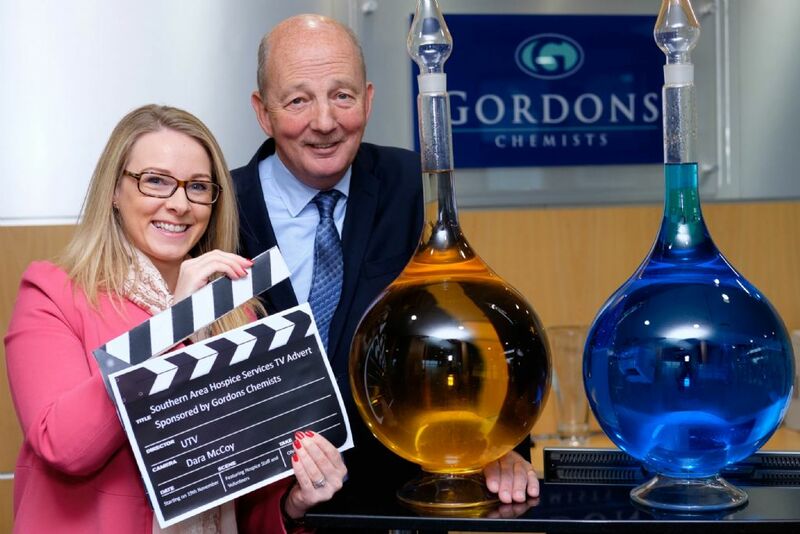 17 November 2017 Southern Area Hospice Services will launch their first ever TV advertisement this weekend during the ad breaks of ‘I’m a Celebrity, Get Me Out Of Here’ on Sunday night at 9pm on UTV. 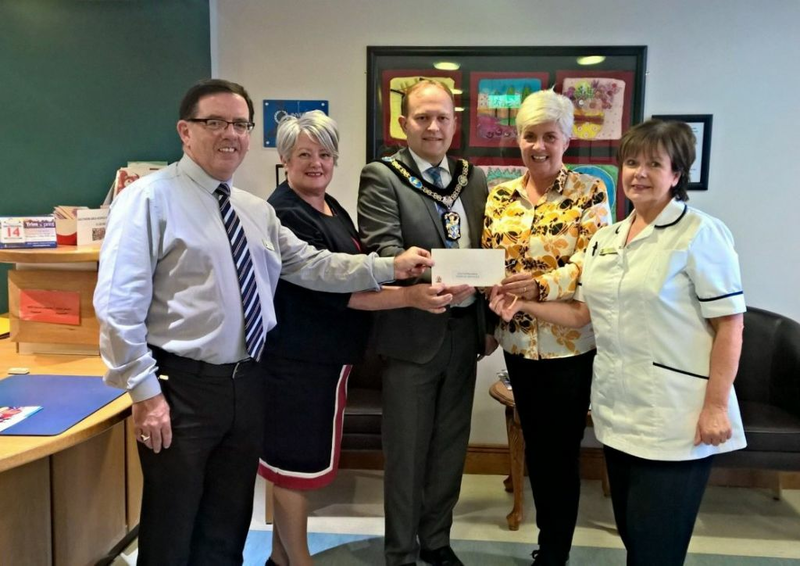 16 November 2017 Thank you to Lord Mayor of Armagh City, Banbridge and Craigavon, Gareth Wilson who made a visit Hospice this week and took a tour of the facilities, meeting with staff, volunteers and patients along the way. 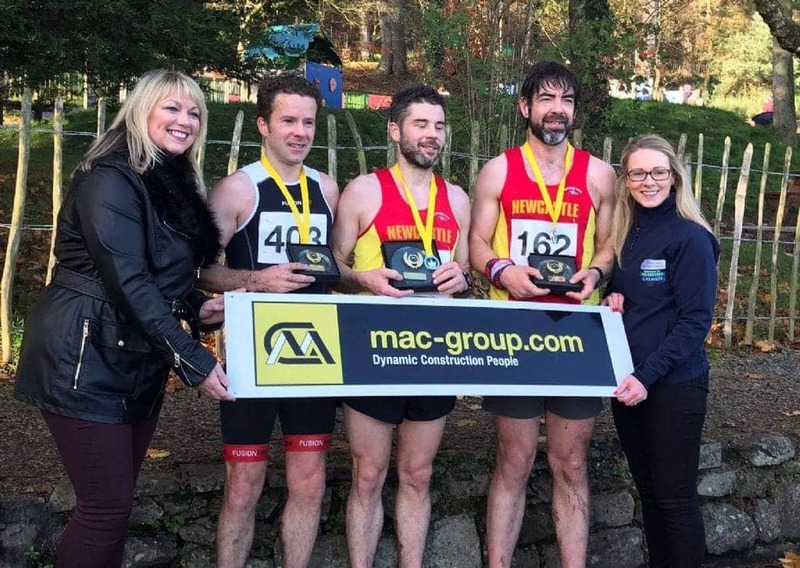 15 November 2017 The King of Gullion 10k Challenge took place on Sunday 12th November at Slieve Gullion Forest Park with record number of entries this year and all proceeds to Southern Area Hospice Services. 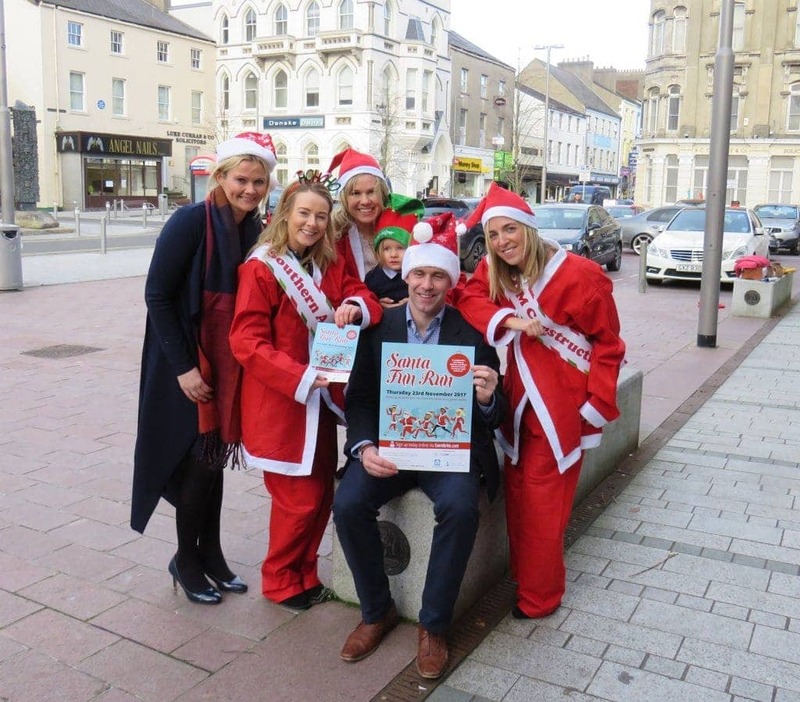 9 November 2017 The Newry Santa Fun Run is set to take place this year on Thursday 23rd November. 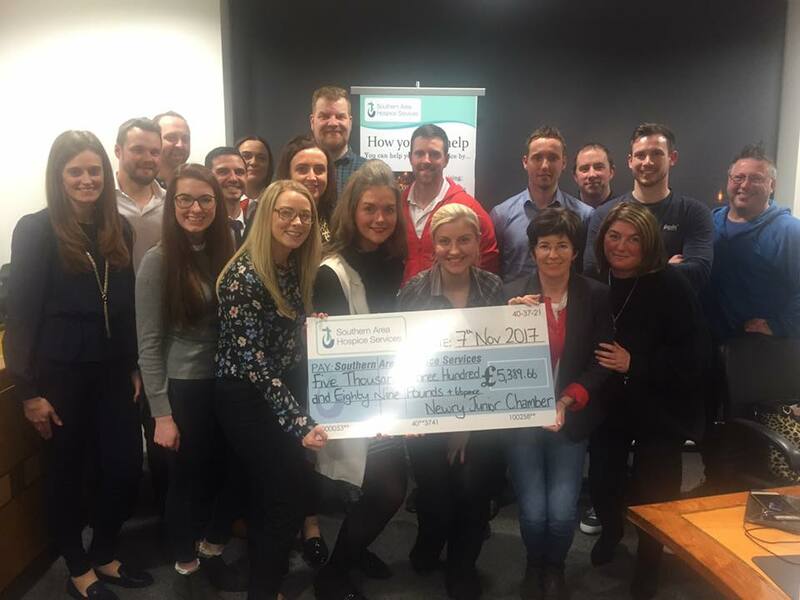 28 October 2017 Newry Junior Chamber members excelled in their Apprentice Style Hospice Shops take over on Saturday 28th October taking over all three Southern Area Hospice Shops in Newry, Rathfriland and Banbridge in an effort to raise the most amount of money.